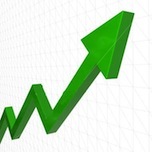 Cloud computing and cloud services stocks rose 23.82 percent in the first half of 2012. AthenaHealth (NASDAQ: ATHN, +61.18%), Equinix (NASDAQ: EQIX, +73.22%) and SolarWinds (NYSE: SWI, +55.85%) were the biggest first-half winners in our Talkin’ Cloud Stocks Index. Meanwhile, Carbonite (NASDAQ: CARB, -19.46%) and Constant Contact (NASDAQ: CTCT, -23.05%) were our index’s biggest first-half losers. While Talkin’ Cloud does not make stock recommendations, I suspect our stock index will take a breather in the second half of 2012 as investors seek to understand whether valuations can really keep rising so swiftly. No doubt, talk about cloud computing continues to push into the mainstream. In the past week alone, index member Google (NASDAQ: GOOG, -10.19% 1H 2012) unveiled an Infrastructure as a Service push called Google Compute Engine. And Red Hat (NYSE: RHT, +36.79% 1H 2012) announced major updates to its hybrid cloud strategy. Plus, Microsoft Office 365 turned one year old in June 2012, and Office 365 for Education arrived days ago. So the cloud computing drumbeat continues but that doesn’t necessarily mean stocks can keep pace.